“I can not endure to waste anything as precious as autumn sunshine by staying in the house. So I spend almost all the daylight hours in the open air.” Nathaniel Hawthorne. When finding a sunset like this can understand why Nathaniel might feel that way. The night of Halloween treated us to a brilliant display of colour, not photoshoped or touched up, simply a happy snap from along the road. SkyWatch Friday is the most amazing experience seeing the sky from different perspectives from all over. Happy mail adds a little sunshine to an ordinary day and makes it a great day. 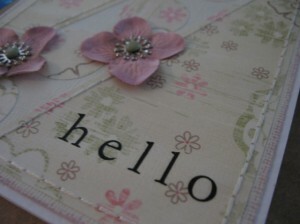 Card is the handy work of Shirley Fyfe from Reflections. Card Teachers? If you are in Brisbane and teach cards – a job is being advertised at All About Paper in Cleveland. Or even Card Teachers who are travelling to Brisbane and would like a gig while in town it is worth a look. 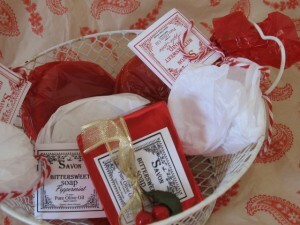 Soaps are the delightful little creations of Jill from Bittersweet. Wish the internet had a scratch n sniff feature because there no words to describe how yummy these are. 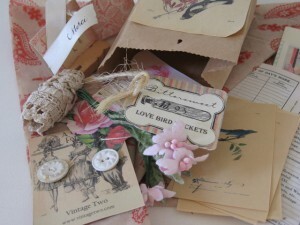 The bird packet is from Calico Petals and packed full of all kinds of sweet birdie things for all kinds of craft projects. We had a spectacular Halloween sunset, too! I haven’t decided if it’s going to be MY SkyWatch this week.<BR/><BR/>Fabulous photo, and as always, you choose the BEST quotes to go with your photos! And the sun is like a glowing pumpkin in that orange sky! We had a brilliant one that night too but I think I will save it for another post. Have a wonderful weekend! Lovely photo. The dark clouds look great against the golden sky. Have a great SWF. On Halloween night, you certainly got your "treat" and now you’re sharing it with all of us. How kind. Oh my what a stunning sky, Mandy! Thank you for your comment today! Great capture, the colors are fantastic. Pearl: You did capture a golden sunset. I love that quote from Hawthorne and may need to use it myself on a layout sometime. Love your autumn sunshine. The Hawthorne quote echoes my sentiments exactly. My, you are a long way from "home"! Your photo is exceptional. The intensity of the sky is beautiful. Thanks for sharing skywatch. Hi Pearl Maple, I love the shot, quite a contrast there and golden colors…wonderful sky watch posting, thanks for visiting me also. Exquisite image. The golden tones are so vibrant and alive. Beautiful Halloweeen photo! Wonderful quote I so agree!<BR/>Happy SWF! Excellent colors – lovely sunset. I am a sucker of sunsets and this one is amazing!~Nice quotes too:)<BR/><BR/>Mine’s, <A HREF="http://yennygirl.com/?p=3582&quot; REL="nofollow">HERE</A>.Happy SWF! your photo is breathtaking!<BR/>thanks for stopping by! The quote says it all. Beautiful shot! Man – that’s a spectacular shot. Very well caught. Stunning. What a spectacular sunset!! Lovely quote too. 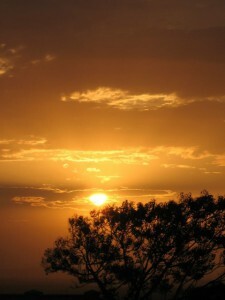 Beautiful sunset, I love the foreground and the little gleaming golden cloudlets above the sun. A wonderful send off for the day.<BR/>Beautiful picture, Amanda, thank you for your visit and nice comment. Have a lovely weekend. That’s really gorgeous. Thanks for visiting me at <A HREF="http://sydneynearlydailyphot.blogspot.com&quot; REL="nofollow">Sydney Daily Photo</A> and your kind words. That’s a fabulous shot. I love the colors. Magnificent! I like the silhouetted tree in the bottom right corner. I too see how he felt! I went on a walk tonight and it felt so wonderful outside. That is so beautiful! The colour you’ve captured is spectacular! Stunning colours – makes me want to paint that scene. I’m so pleased that my little package arrived and it brought a smile to your face – I do hope your enjoy your time ‘playing’!